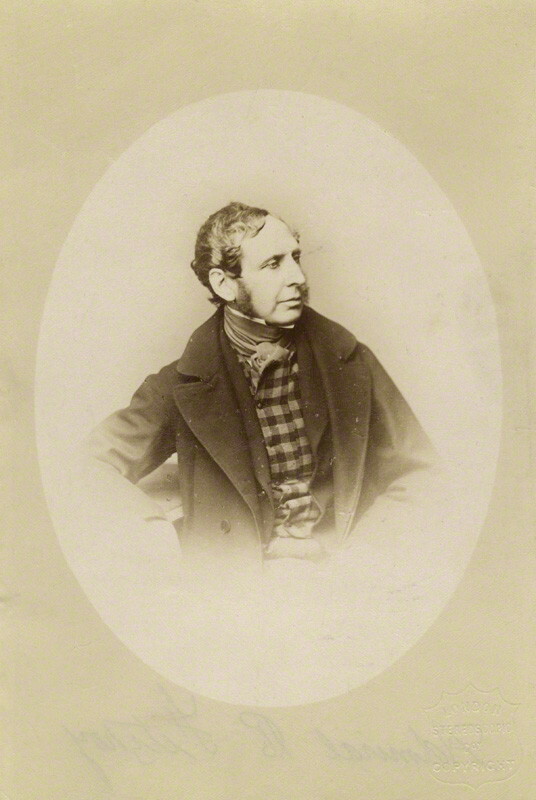 Robert FitzRoy was captain of HMS Beagle when Darwin was aboard. From 1831 to 1836 the two men lived in the closest proximity, their relationship revealed by the letters they exchanged while Darwin left the ship to explore the countries visited during the Beagle’s voyage round the world. FitzRoy and Darwin could not have been more different, but these differences were minimised by their shared interests during the voyage. Once back in England, however, their divergent views became more apparent, especially on religious matters and evolutionary theory. FitzRoy is now too often viewed through Darwin’s increasingly negative opinion of his once ‘beau ideal’ of a captain. Darwin’s correspondence, however, illuminates many of FitzRoy’s ‘splendid qualities’ as well as his ‘melancholy career’. FitzRoy, who commanded the Beagle from 1828 to 1836 during two surveying voyages to the southern coast of South America, was born into an aristocratic family in 1805, and entered into naval service at the age of fifteen. He was only five years old when his mother died, and seventeen when his uncle, Viscount Castlereigh, foreign secretary and leader of the House of Commons, committed suicide. At the time of his father’s death in 1829, FitzRoy was surveying an isolated region of Tierra del Fuego. FitzRoy’s losses through untimely family deaths may have been unusual, but his experience of the loneliness and responsibilities of naval surveying work was entirely typical. He already knew about the physical and mental anxiety that came with being in command in isolated areas; on the first voyage of the Beagle, FitzRoy’s predecessor, Captain Pringle Stokes, had committed suicide in 1828 after six months of solitary survey work. It was for this reason that FitzRoy was advised to take a naturalist on the second voyage; companionship and shared interests in natural philosophy, it was hoped, would mitigate the hardships of command. In September 1831 he was informed by Francis Beaufort of the Admiralty that a ‘Savant’ had been found, ‘A Mr Darwin grandson of the well known philosopher and poet—full of zeal and enterprize’. For his part, Darwin thought ‘Cap. FitzRoy is every thing that is delightful’ and ‘very scientific’. Despite Darwin’s company, FitzRoy broke down during the voyage, suffering ‘morbid depression of spirits, & a loss of all decision & resolution’. This did not occur at sea, but while FitzRoy was putting in long hours preparing charts at Valparaiso in 1834. This hydrographic work, combined with the close study of natural phenomena such as earthquakes, was aimed at lessening anxiety at sea by preventing–or, at least, explaining–shipwreck. FitzRoy was sure that a change in the direction of tides after the Concepcion earthquake had caused the wreck of HMS Challenger in 1835; a disaster he minimised by going to the rescue of the crew. In taking this action, as with other unauthorised decisions FitzRoy made to ensure the fulfilment of the voyage’s aims, he followed his own initiative, which did not always meet with the approval of his superiors. When the Beagle docked at Falmouth on 2 October 1836, two years later than originally planned, Darwin told FitzRoy: ‘If you do not receive much satisfaction for all the mental and bodily energy, you have expended in His Majesty’s Service, you will be most hardly treated’. On arriving home, FitzRoy almost immediately declared ‘I am going to be married!!!!!!!’. He wed his long-term fiancée in December 1836—‘a most inconvenient time to marry’, according to Darwin. FitzRoy then turned to the production of the account of the surveying voyages, and was the author of two of the four volumes of the Narrative of the Surveying Voyages of HMS Adventure and Beagle (1839). His contributions were eclipsed by the volume written by Darwin, which went on to have an independent life in a number of editions as Journal of researches. But FitzRoy’s work was never intended to compete; his accounts document the voyage as a collective endeavour in which accumulated measurements, facts, and specimens provide evidence of changes in the physical world as well as charting the progress or decline in human societies. As a devout Christian, FitzRoy believed that all human society came from one stock and did not comprise separate races. Humans were capable of being transformed from savage to civilised, but were also susceptible to degradation. His reaction to the peoples of Tierra del Fuego was far less extreme than that of Darwin; they were, according to FitzRoy, like the Britons when first encountered by the Romans. FitzRoy believed that just as change was apparent in animals and plants subject to acclimatisation experiments, the capacity of humans for transformation as individuals and as societies could be effected by education and explained by phrenology. FitzRoy’s most intense contact with native peoples resulted from an incident during the first voyage of the Beagle. In 1830, when he was surveying the coastline of Tierra del Fuego, one of the small boats used for such detailed work was washed away, and a second was stolen by natives. FitzRoy took several hostages over the weeks that he relentlessly hunted for the vessel. Many of the captives escaped, but when FitzRoy finally abandoned the search he still held three individuals: two men, Elleparu and an unknown individual, and a young girl Yokcushlu, whom he renamed York Minster, Boat Memory, and Fuegia Basket, respectively. Two months later, he took another man, Orundellico, whom he called Jemmy Button. FitzRoy recklessly decided to turn the episode into a social experiment. He took the Fuegians to England to be educated so that they could be interpreters and support for a future Protestant mission in Tierra del Fuego. Both enterprises failed, leaving FitzRoy shaken by the evidence of the impermanence of the effects of education but adamant in the importance of missionary work. In 1836, Darwin joined with FitzRoy in defending the value of missions. One of the purposes of the second Beagle voyage was to return three of these natives (Boat Memory died soon after arrival in England) to Tierra del Fuego. In addition to this and the survey work, FitzRoy was commissioned to carry out a complete chain of longitude measurements by chronometer; it was this that led to the circumnavigation of the globe. The second voyage was philosophical in its aims, not only because Darwin was on board, but because of FitzRoy’s own interests in geology, coral reefs, phrenology, and meteorology. FitzRoy was one of the first to implement the Beaufort system of recording wind force and weather conditions on an Admiralty ship, and quick to adopt other new technologies. But his conservative set of mind was reflected in the conclusion of his published account of the voyage, where he set out his views on human migration and reconciled geology with the Biblical account. ‘You will be amused with FitzRoy’s Deluge Chapter’, Darwin wrote to his sister Caroline, adding that Charles Lyell ‘says it beats all the other nonsense he has ever read on the subject’. FitzRoy was out of step with the changes that had occurred between his departure on the first Beagle voyage and his return after the second. He left a Tory world and came back to a Whig ascendancy. As a consequence, his career ran up against political obstacles and his religious beliefs hardened. Darwin embarked on the Beagle as a young Whig country gentleman and returned to become part of a progressive reforming metropolitan scientific elite, soon being appointed secretary of the Geological Society of London. In 1834, Darwin had reported that FitzRoy’s ‘most devout abhorrence is one of the d——d scientific Whigs’. FitzRoy and Darwin had spent the Beagle voyage largely in unison about its scientific aims, and able to overcome their political differences. Back in England, however, they began to rub each other up the wrong way. FitzRoy was offended and hurt by what he took as insufficient acknowledgment of himself and the officers on the Beagle in Darwin’s volume of the Narrative. Just weeks later, Darwin commented on FitzRoy’s ‘consummate skill in looking at everything & every body in a perverted manner’. When FitzRoy moved away from London in 1839, Darwin was ‘right glad of it’ as he was ‘anxious to avoid seeing much of him’ . By the time FitzRoy returned from his difficult governorship of New Zealand, Darwin set the tone of their relationship as one of nostalgia for the voyage: ‘I often think of your many acts of kindness to me, and not seldomest on the time, no doubt quite forgotten by you, when, before making Madeira, you came and arranged my hammock with your own hands, and which, as I afterwards heard, brought tears into my father’s eyes’. From 1854, Darwin was a member of the Royal Society committee advising the Board of Trade’s meteorological department, of which FitzRoy was the head, but the two men rarely met. In 1859, Darwin guessed that FitzRoy was the author of a letter to The Times, full of ‘conceit & folly’, that criticised Origin on shaky scientific grounds. A year later, Darwin feared that FitzRoy’s mind was ‘often on the Verge of insanity’. In 1864, Darwin heard that FitzRoy was looking ‘broken and thin’, as he struggled with professional difficulties and debts. Katharine Anderson, ed., Narrative of the Beagle voyage, 1831-1836, 4 vols. London: Pickering & Chatto, 2012. Katharine Anderson, Predicting the weather: Victorians and the science of meteorology. Chicago: University of Chicago Press, 2005. Sends news of his movements sinceBeagleput in at Falmouth. His charts are safe and already being engraved. CD’s response [missing] comes from the heart. RF explains that CD’s preface [toJournal and remarks, vol. 3 ofNarrative] offended him in not acknowledging the part RF and the other officers had in helping CD.Beaglevoyage was the first on which officers could have kept any specimens they collected, but they gave preference to CD. The Lyell–Ramsay disagreement [on formation of lakes? ].